This page is designed specifically for mobile devices in use on Sunday mornings. 36 There was also a prophet, Anna, the daughter of Penuel, of the tribe of Asher. She was very old; she had lived with her husband seven years after her marriage, 37 and then was a widow until she was eighty-four. She never left the temple but worshiped night and day, fasting and praying. 38 Coming up to them at that very moment, she gave thanks to God and spoke about the child to all who were looking forward to the redemption of Jerusalem. Leader: The word of the Lord. Congregation: Thanks be to God. WE’D LOVE to get know you a little better! Use the form below to introduce yourself and/or to request information about Ekklesia. Burdens and joys are meant to be shared and carried together with others. Our prayer team would love to hear from you. A few community needs have come to our attention in recent days. Stephanie and Bradley Capps host a small group that has been supporting a Syrian refugee family nearby. This family is in need of Size 4 diapers, and wipes. If you can help, please reach out to Stephanie (919-817-2151). We are working toward a baptism worship service on Easter Sunday (4/21). To those who have already been baptized, we also hope to offer a reaffirmation-of-baptism-vows. If you or a family member is interested either in baptism or a reaffirmation, please contact Curtis. This summer we are sending a team to serve with our Global Ministries partner Lemonade International in Guatemala City — a ministry we support monthly. This year, our annual trip will be August 4-10. It is ALWAYS a powerful and transformative experience, and we would love for you to go! Learn more online, or chat with Pastor Curtis or Colby Freeman (this year’s team leader). 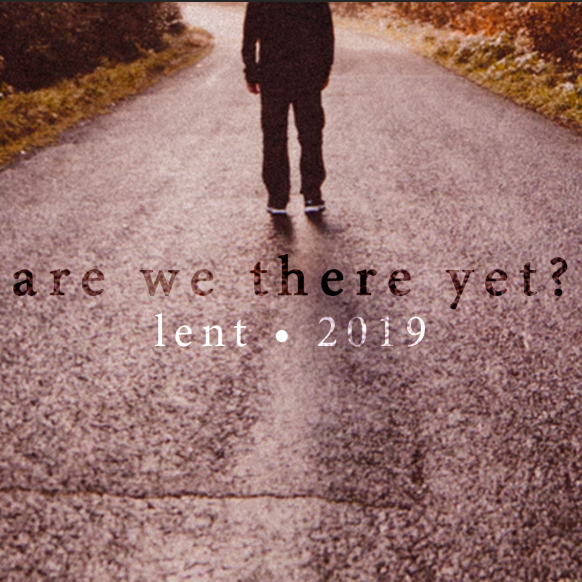 If you’ve missed our series of Lent blog posts, catch up here. They are so good! Our first Habitat Workday of 2019. This event is open to anyone (16 yrs+) who wants to join us. Looking forward to it! Click here to learn more.